It’s easy to understand Hastings’ view. While Apple shook up the entertainment industry with the iTunes Store, for the past decade it’s been slacking. Apple TV isn’t exactly setting the world on fire. The iTunes Store pioneered the online sale of music and, later, movies and TV shows, but now looks like a relic from another age. A rumored Apple “skinny bundle” of TV content never materialized. Netflix, meanwhile, has been busy innovating. Not content with merely delivering movies and TV shows to its subscribers, it started making its own. In 2012, it spent $100 million commissioning two seasons of political drama House of Cards. 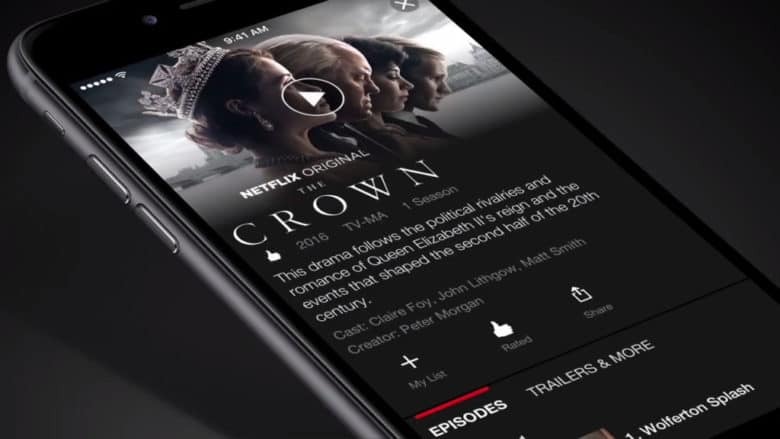 That big gamble paid off, reinventing Netflix as a source of compelling original content. It followed that success with a slew of binge-worthy hits: Orange Is the New Black, Stranger Things, The Crown and many more. In creating them, Netflix found a way to make its service even more compelling by offering hit shows that can’t be found elsewhere. In the process, it reinvented the way we watch TV. Now it stands to get Sherlocked by Apple, just as so many unsuspecting companies have in the past. When Apple starts rolling out its own blockbuster content, via Apple Music or its TV app or some as-yet-unknown new service, it will instantly pose a threat to Netflix and other streaming services. Overnight, Apple’s massive user base — everybody with an iPhone, iPad, Mac or Apple TV — will enjoy access to Apple’s content. And they will be enticed by Apple’s masterful advertising. Cupertino clearly has Netflix in its crosshairs. Since getting serious about making its own shows, Apple blew past its original $1 billion budget and keeps on spending. And spending. And spending. While Netflix’s original content budget currently outstrips Apple’s, its cash reserves don’t. With $285.1 billion in the bank, Apple could — if it so chooses — win a war of attrition against Netflix. And the rest of the entertainment industry, too, for that matter. So Netflix is trying to do what Apple once did against IBM and, later, Microsoft: It’s pitching itself as the underdog. Over the weekend, Hastings spoke at the TED conference in Vancouver. In his version of events, Netflix is small and scrappy enough to stave off Apple, where CEO Tim Cook must sign off on every painstaking secret decision. So why’s that a bad idea? Well, for starters, it’s not really true. Apple is certainly secretive with the outside world (and is apparently renewing its all-out war on leakers). It’s also secretive enough internally that not just any Apple employe can drop by Jony Ive’s lab and start playing around with iPhone 12 prototypes. But Cupertino is not some creaking bureaucracy. At Apple, the heads of each division meet up each week to discuss what everyone other department is doing. Things get more secretive as you move down the ranks, but synergy remains the name of the game. In fact, Apple Park’s unique design stems from this commitment to collaboration. Apple is not a company of “yes” men and women, either. Steve Jobs was outspoken about his belief that you don’t hire smart people because they agree with you. You hire smart people because they can offer you other points of view. It’s then the chief executive’s job, a bit like the director of a movie, to make sure these separate visions coalesce into something singular. Netflix’s reputation for an anything-goes, quantity-over-quality approach is even seeping into popular culture. South Park parodied the situation in an episode in which Cartman is offered his own show on Netflix before even explaining what it is. “Netflix, you’re green-lit. Who am I speaking with?” a Netflix worker says when Cartman calls to pitch his project. Apple isn’t faultless when it comes to its original content picks so far. Carpool Karaoke and Planet of the Apps were “meh” and offensively awful, respectively. But Apple has a small number of serious heavy hitters currently in production: a comedy from Kristen Wiig, an animated musical from the creator of Bob’s Burgers, sci-fi from Steven Spielberg and Isaac Asimov, and more. The proof will be in the pudding, but Apple enjoys a long-established reputation for excellence — and that comes from its obsessive attention to detail, not in spite of it. Provided the growing Apple Worldwide Video team takes the same approach to video content as it does with its carefully curated App Store, its original programming strategy could serve up a string of hits. At that point, you don’t want to be positioned as the anti-Apple. We’ve seen what “do the opposite of Apple” can look like. And too often it looks like the Microsoft Zune.